Without argument, a skillful therapist can greatly facilitate one's personal growth and insight by providing a safe space to express oneself and hopefully, unconditional love. Unfortunately, not everyone can afford such treatment, yet we all deserve access to healing despite our financial situation. Most people are unaware that a Master Healer awaits patiently on standby for each of us, just waiting for the moment we sound the call for assistance. We all have at our disposal an infinitely wise and loving counselor and guide ~ someone, ever so gently, to point out our weaknesses and strengths, thus assisting us upon the path of life. And it doesn't cost a cent, except the amount of energy expended in making the call. You don't need a telephone, however. 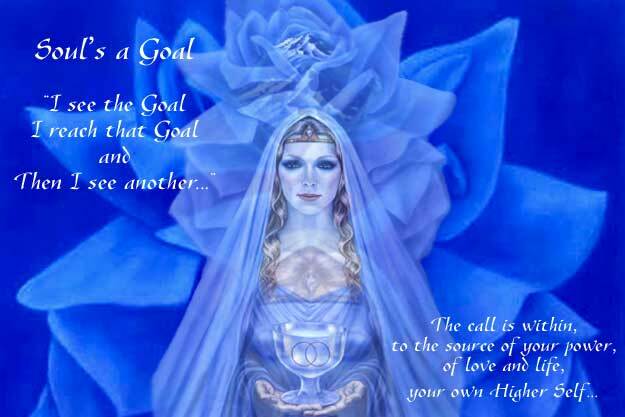 The call is within, to the source of your power, of love and life, your own Higher Self. Now there are many names for this entity ... some know it as the Soul, or Higher Power, guardian Angel, eighth chakra, or God. What we call it is meaningless. But to call upon it changes lives, for this great presence has the power to give us that elusive prize we all seek, a sense of being fully and completely understood and loved. Our Higher Self has the power to break through our deepest fears and hurts, usually based upon the erroneous belief that we don't have enough love, or are unworthy of love. One of the greatest expenditures of our energy is seeking out love for ourselves. What most of us never understand is all the love we need is easily within our grasp, and has always been so. The love really is here ~ in fact, it never left! It may not be a specific love object, however, such as "her love, or his love, or Mom's love," but rather "The Love" ... faceless, formless perhaps, but not soulless, that surrounds us constantly. The love is evident, manifesting as the constant life-giving stream of force pouring into each of us with every breath, from that larger dimension, the plane of the Higher Self, or Soul. The world is populated with tormented, wounded human beings, each filled with dark areas inside. All the hurts and fears, doubts and insecurities that plague an individual appear as dark blemishes in their otherwise light body. Many wounds have we accumulated over the countless lifetimes we have experienced, each moment of injustice and brutality searing our consciousness with pain, anger and fear. Such memories, indelibly ingrained into our being by their impact, are carried over from life to life, gradually building until the stored-up negative emotional energy eventually creates actual blockages in our circuitry. And these, our imperfections, the sum total of our un-wellness, prevent us from joy and bliss, from divinity, and from being filled completely with the Light ... the Light of the Soul. We are the Soul's hologram! Everything we experience is a projection of our internal condition ~ unresolved issues within ourselves are projected onto our physical plane reality. Any inner turmoil, conflicts, or doubts are mocked up in our environment to then reflect every hurt place we have. It looks like its happening to us, but we actually created it. All difficult events ~ solar flares, weather fronts, full moons, challenging planetary alignments ~ all of these serve to light up our "stuck stuff" so we can experience it, then love it, and hopefully, forgive it. Our tendency is to blame someone else for getting lit up (they might have helped light up our stuff, but it's ours, after all!). Nobody else put it there. We did. We then want to respond by pushing the person out of our lives. This is really just an opportunity to love the hurt part of ourselves and include others in our experience. Humanity swims in a sea of illusion ... it appears that we interact with our world on many levels but we really only have one relationship ~ the one with our Soul. The illusion is that anything is happening externally at all. Whatever your difficulty, its really going on inside of you. The environment you find yourself in is literally filled with information concerning your internal condition. The Soul facilitates our evolution by the mechanism of constantly supplying feedback through the apparently external events that happen to us. We literally receive environmental Tarot readings all the time, "signs and omens." Watch for these ~ they are happening to everyone constantly; people simply overlook them. When you say something's wrong, it is wrong within you. When something is difficult or not O.K. around you, it's because you have something difficult and not O.K. within you. Our first response is, of course, to blame others. When you find yourself doing this remember others are just your mirror, revealing to you which parts of yourself you don't yet love. Your environment mirrors what is hurt and stuck inside of you ... and simply acts as a reflecting lens back to you: life as a viewing screen of Self. The good news is, Soul cures everything ~ there is no trouble Soul can't heal. When you're upset with someone or a situation, that's your cue to say, "Oh, that's me, I'm not loving this part of myself." Now that the environment has revealed the "dark" spot within, you have the opportunity to bring it up to the light of the soul and surrender it to the healing presence. A simple visualization of placing your difficulty on an altar and seeing it raised up to heaven, while a shaft of light pierces straight to the heart of it, works wonders. This technique, called "giving it up to the Soul," is incredibly transformative and, over time, will dissipate the difficulty, for no darkness can withstand, for long, the power of Love and Light. Develop a working relationship with your Soul ... meditate on it, invoke it, tell it you love it, listen while it tells you the same. Engage a dialogue wherein it tells you something like this: "I will never forsake you, never leave you or reject you, for I love you in all ways forever, (say your name). " Know within your heart that your Soul is talking to you in the most loving, supportive way imaginable. Feel the deep calm and peace that comes from this knowingness. With time, you will be much more equipped to participate in healthy relationships, as any truly successful relationship only can be comprised of those connected to the Source. Everyone else is coming from hunger, automatically making the other a source of food (energy). Understanding Soul can be a source of joy and happiness for everyone. When one is solidly aligned with their Soul, a bedrock of calm, balance and serenity is theirs, regardless of external events. Soul is unconditional love and gives us just what we need. If you look for this in others, you will most likely be disappointed eventually ~ very few people are truly balanced and clear. Invariably others will let you down because they, like ourselves, still possess glitches, hurt places in themselves that work out in bewildering behavior. No one is perfect. People will hurt you because they are not perfected beings. Because of this, Soul truly is the best source of Love possible, available all the time as the ultimate source of energy and healing. Align with your Soul on a consistent basis and you will get well. Life after life, the Soul silently grows behind the mask of our persona, through the thousand sensations of our body, the thousand stimuli of our feelings, the countless thoughts that stir within us. It grows as we rise, and grows as we fall ~ through our sufferings and our joys, our good and our evil; these are its antennae for experiencing the world. When all this external machinery of the form dissolves, soul retains only the essence of its experiences, and takes with it certain consequences from the life just lived. Each of our actions has a dynamism that tends to perpetuate itself as karma. In another life certain imprints will translate into particular talents, special problems, innate affinities, inexplicable anxieties, irresistible attractions, and sometimes even particular circumstances that repeat themselves almost mechanically, as if to confront us with the same, unresolved problem, over and over, until it is overcome. The first signs of soul's awakening are love and joy, a joy that may be extremely intense and powerful, but without any exaltation and without object, as calm and deep as the sea. The soul's joy doesn't need anything in order to be; it just is; even in a prison it cannot help being, for it is not a feeling but a state, like a river sparkling wherever it flows, whether over mud or rocks, across plains or mountains. It is a love that is not the opposite of hate, and it needs nothing to sustain itself; it simply is, burning steadily regardless of what it encounters, in all it sees and all it touches, simply because it cannot help loving, for that is its nature. For the soul nothing is low, or high, or pure, or impure; neither its flame nor its joy can be tarnished. Other signs may also reveal its presence: it is light, nothing is a burden to it, as if the whole world were its playground; it is invulnerable, nothing can touch it, as if it were forever beyond all tragedies, already saved from any accidents; it is a seer, it sees; it is calm, so calm, a tiny breath in the depths of the being; and vast, as vast as the eternal sea itself. Indeed, it is eternal. And it is free; nothing can entrap it, neither life nor men, nor ideas, nor doctrines, nor countries ~ it is beyond, forever beyond, and yet innumerably present in the heart of everything, as if it were one with all, for it is God within us. Life ~ incredibly rich and diverse, with its endless challenges and opportunities. A profound appreciation blossoms as one begins to understand the incredibly intricate means by which the Soul accomplishes the unfolding of each individual experience. 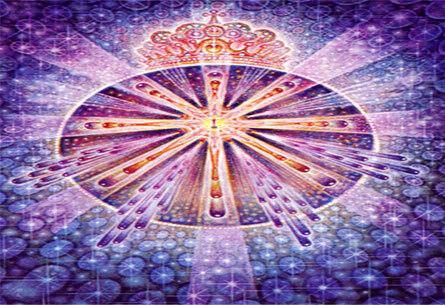 Our task is to transmute our dis-eased parts on all planes: physical, emotional and mental. Shed your skin, literally step out of old beliefs and thought processes that hold and bind you. Allow the grandeur of your soul to fill you with awe and wonder and love for all. and then I see another."